Η πτήση για Μεξικό τους επόμενους μήνες θα διαρκεί μόνο λίγα λεπτά, θα προσγειώνεται κάθε Παρασκευή και Σάββατο στο Γκάζι, στον αριθμό 11 της Ιεράς Οδού και θα παρασύρει σε ρυθμούς Λατινικής Αμερικής. H ομάδα του The Clumsies κάνει πραγματικότητα το πρώτο pop up bar της Ελλάδας και φέρνει μια από τις πιο ιδιαίτερες περιοχές του Μεξικό, την Palmitas, στην καρδιά της Αθήνας. Η cocktail list με τα δύο αποστάγματα αγαύης, mescal & tequila, να δίνουν έντονο το στίγμα τους, το Mexican Street Style menu του chef Γιάννη Λιάκου που αναδεικνύει τις κλασικές γεύσεις και συστήνει στο κοινό εξελιγμένες προτάσεις μεξικάνικης κουζίνας, καθώς και οι live μουσικές αλλά και τα dj sets με ήχους από τη Λατινική Αμερική συνωμοτούν σε ένα νοητό ταξίδι στο Μεξικό. Το παζλ της μεξικάνικης πόλης συμπληρώνουν δύο θεματικά δωμάτια που παραπέμπουν σε φαβέλες με πρωταγωνιστές τo Dark Side Tattoo Society και το Barber Rules. For the following 6 months ,flying to Mexico will be taking only a few minutes, and will be landing to Gkazi, on 11str.IeraOdos,every Friday and Saturday night in order to carry everyone into the Latin America rhythm. The Clumsies group makes the first Greek pop-up bar a reality and brings one of the most special regions of Mexico, Palmitasto downtown Athens. The ever ambitious and restless teamgets tuned with the avantgarde trend of pop up bars, that is the theme bars around the world which literally pop up in various city points and work for a short period of time – and set up the first one in Greece. 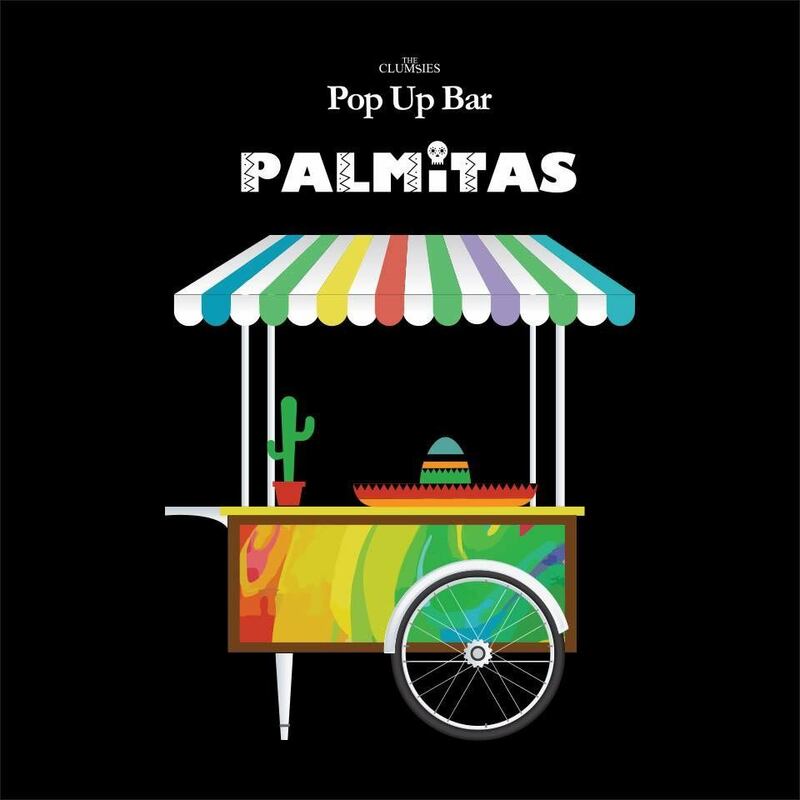 Named after the once notorious region in Mexico, Palmitas, which was revived through street art and creativity, the first of The Clumsies Pop-up Bars series will become the mainstream destination in the city starting from November and going on for the next months. Following the significant international distinctions achieved by The Clumsies within the first months of being in business, they spread their wings to an alternative project, which will be changing theme and location on a regular basis and will be inviting guests to indulge in an unprecedentedcompilation of emotions and thrills. On the fourth floor of the well-known multi-place of 1str. 1 IeraOdos, the architectural firm Nine Design has designed the unique place for Palmitas, where the only thing reminding Greece is the breathtaking view towards the Acropolis. The cocktail list with two agave spirits, mescal and tequila, making their point, the Mexican street style menu designed by the chef John Liakos which depicts the traditional taste and introduces new and revolutionary suggestions on Mexican cuisine, as well as the live music along with dj sets full of Latin American sound, conspire to a mystique journey to Mexico. TheMexican city jigsaw puzzle is completed with two theme rooms similar to the known Mexican slums, referred to as favelas, where the Dark Side Tattoo Society and the Barber Rules will be starring. 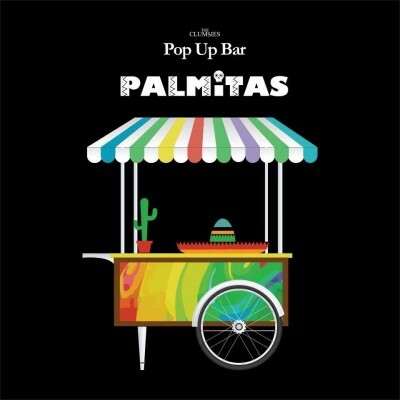 The Clumsies Pop Up Bar journey sets offat the beginning of November with its first stop at Palmitas. Every Friday and Saturday, for 5 months only, Mexico moves to Gkazi. To the following destination… you just have to look up to the roof top!